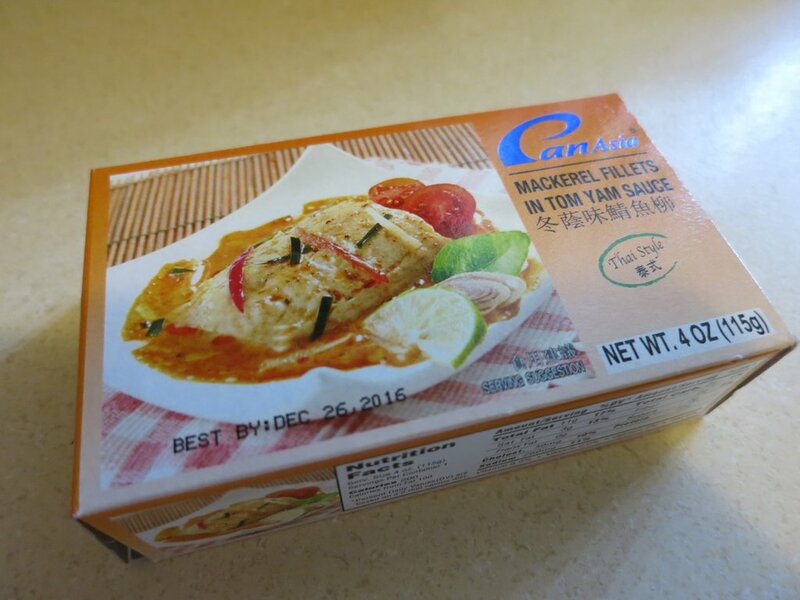 Mackerel Fillets in Tom Yam Sauce comes in an attractive, full color cardboard box. The following is a basic enough recipe for fresh salsa, from Jacques Pepin’s book Fast Food My Way. It’s good stuff, but darned if your choppin’ hand isn’t sore afterwards. Blogging about it here so I have it forevermore. Mix all the ingredients together in a bowl. Cover and refrigerate. Discovered via Fast Food My Way. Great book, great series. 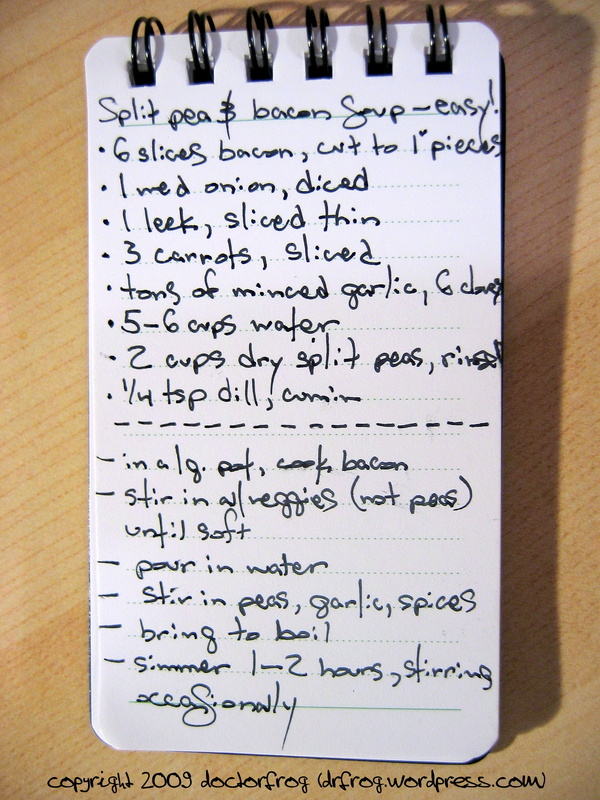 Split Pea Soup with Bacon recipe on a tiny sheet of paper, so you know it’s easy. I synthesized it from several other recipes in an attempt to empty my fridge a little and to pretend that I have mad kitchen skillz. Please wait for the image to load (or click on it), and scroll down for a translation of my chickenscratch. Split Pea Soup with Bacon – easy! And how does it taste?? ?